It then details the various types of Median Lines and shows detailed color charts that give step-by-step instructions for drawing and using each of the Median Line types. 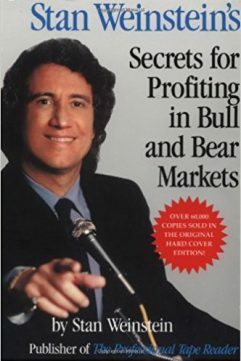 Each chart in this book is drawn the same way you’d hand draw a chart rather than by using a “canned” drawing tool–and the addition of each line is shown–so that no matter how you draw any of the Median Line types, you’ll see, step by step, how to draw them. 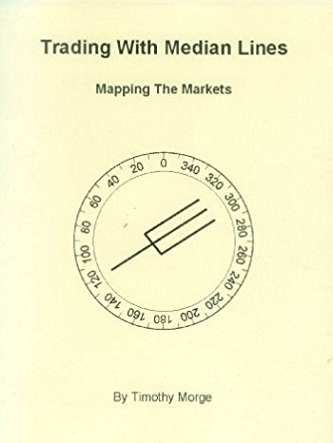 This book is visually intense in nature, because that is the best way to learn about charts and drawing tools. Once the various Median Line types are fully explained, the other essential Median Line tools are introduced, in the same step by step detail. 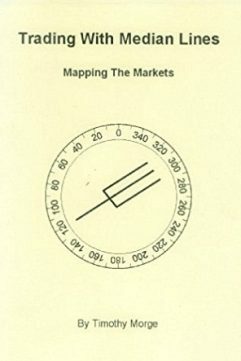 Trade examples are given throughout the book as each set of tools is introduced. 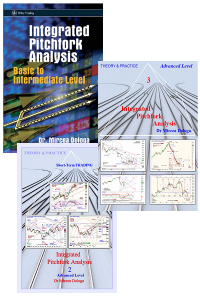 Finally, a handful of more advanced topics are explored in detail and then a more complex set of trades are shown, using some of these advanced techniques.